Where to Stay and Eat! If we come down to explore where do you suggest we spend the night? One suggestion is to find a bed and breakfast through https://www.bedandbreakfast.com/eastern-shore-virginia.html. When you decide what kind of property interests you the most and in what area, I will be happy to recommend a place. Here are a few suggestions. 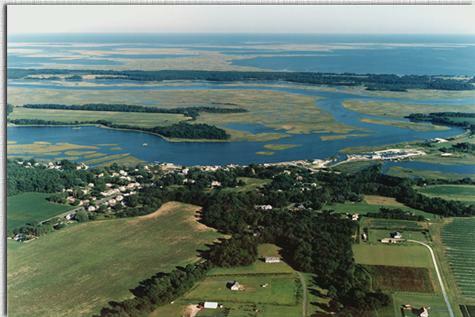 Remember, the Eastern Shore is 70 miles long, and it could take some time to see all the homes and land for sale you want, so plan on spending some time here on the shore. In Jamesville try Http://tiny.cc/baytop it's a waterfront VRBO that's a treat! 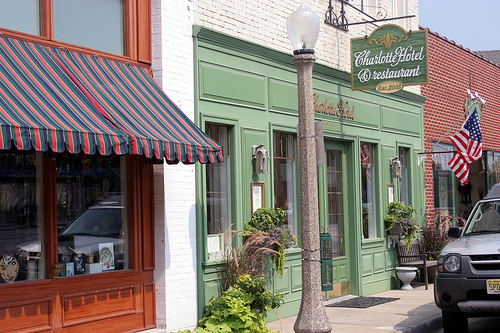 Charlotte Hotel and Restaurant (757 787 7400) http://www.thecharlottehotel.com/ Individually designed rooms in the heart of Onancock. Along the length of the Eastern Shore, there are the usual fast food restaurants, including McDonalds, Wendy's, Hardee's, and Subway. But whether you live here, or are just on vacation, we urge you to support our fine local restaurants. Wonderful beaches and tea at Miss Molly’s (757 336 6686). Janet's Onancock General Store (757 787 9495) Located just north of Charlotte's on North Street, this small restaurant serves breakfast and lunch in a casual and friendly atmosphere. 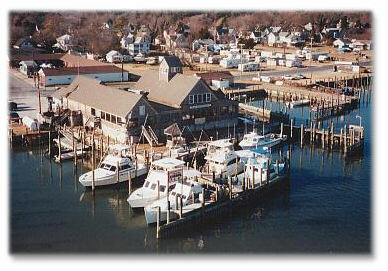 Mallard’s at Hopkins (757 787 8558) 2 Market Street, is down at the town wharf and has casual food on the water. Music on weekends and an outside seating area. Mingle with lots of boaters. www.mallardsllc.com Open daily 11:30 am - 9pm. North Street Market (757 787 8805), on North Street, is the shore's best purveyor of gourmet food, and is now offering a coffee bar. If it's wine, cheese or specialty food, this is the place to go. Happy Buffet (757 789 3888) 25345 Lankford Highway, open 11am-10pm daily, Mongolian BBQ, Sushi & Chinese Cuisine. Herbal Instincts (757 787 7071) at 141 Market Street, is one stop shopping for organic food, and offers a wide variety of specialties. Chris has a small farmer's market every Saturday in the summer of home grown vegetables and herbs, home made treats and fresh flowers from local gardens. Crossroads Coffee Shop (757 787 1800) 25514 E Main St, Offering a lunch menu and housed in a renovated bank building from 1904, Crossroads has quickly become a local favorite. Open Tuesdays-Saturdays from 8-3 and Sundays from 10-3. Get a panini! 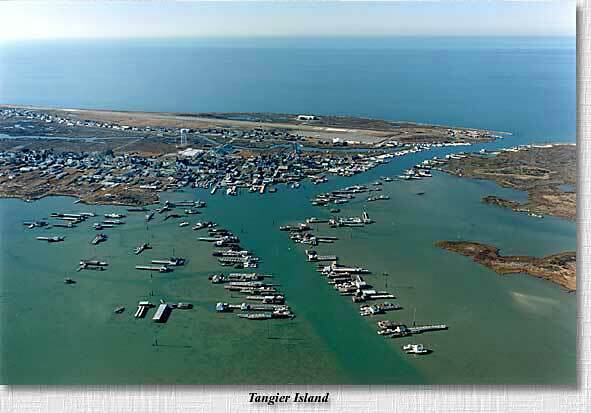 Ferry to Tangier leaving Onancock at 10 each day and returning at 3. Eat at Hilda Crockett’s (757 891 2331) and take a golf cart tour of the island, including the beach. Warning---dry island. Larraine's Seafood Restaurant (757 891 2225) With local seafood and a full menu, the favorite remains the crab cakes. Rita's Restaurant (757 665 1890) 21013 Lankford Highway. Rancho Relaxo (757 656 4225) Located at 3312 Main Street, Rancho Relaxo has a stylish, small dining room and delicious american food with some fusion. Good vegetarian options, best fries around. The Exmore Diner (757 442 2313) 4264 Main Street on Business 13. Opens at 5am and closes at 8pm. Breakfast all day. A local experience. Machipongo Trading Company (757 678 0005) 13037 Lankford Highway, serving Eastern Shore roasted coffee and great sandwiches, along with Island Creamery ice cream. Yuk Yuk & Joe's (757 678 7870) 15717 Courthouse Road, A long time established local favorite, serving basic burgers, pizza, and seafood. Kelly's Gingernut Pub (757 331 3222) 133 Mason Avenue, 11:30am-11:30p, Sunday-Thursday, 11:30am-2am Friday and Saturday, offering local seafood and burgers in a 100 year old bank building. The Shanty (747 659 3853) 33 Marina Road, You can come by boat or car to this harbor side restaurant offering fresh caught seafood and waterside dining. Open 11:30 am -10:00pm daily, closed during winter.